There are many ways to enjoy vegetables, but growing up in my family it’s hard to forget the smell of vegetables in a sizzling wok. It always makes my mouth water and run towards the kitchen in eager anticipation. Stir-frying is fast, easy and versatile. It’s great for almost anything. Below are just few tips to a successful vegetable stir-fry. 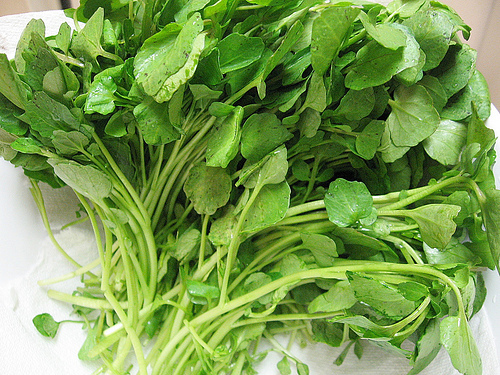 Watercress is great for stir-fries. It is hardier than spinach but requires very little prepping and cooking time. A superfood, watercress is packed with phytonutrients and is renowned for its anti-cancer properties. For details, check out the link on Medical News Today that reports some of the studies done on health benefits of watercress.